It's a great book, I've only just got it. My blancmange recipe involved soaking ground almonds in milk for a long time rather than using almond extract. I think milk/jelly is a great combo...think of milk bottles, the sweets! Yes, and thinking of milk bottles, and mini milk ice lollies, they are much sweeter than the blancmange I made, which is probably what the problem was. I am going to try again with more honey. You used ground almonds, I might try almond milk, although I realise it's made with water and tapioca starch, which doesn't really appeal. 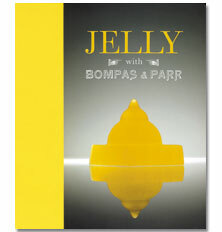 Super book, we have the Orange Jelly in the fridge for tomorrows birthday...must try the Funeral Jelly before I croak! Did you see the programme yesterday on BBC2? Rosemary Shrager making Victorian jellies in the moulds of the day...tremendous. No I didn't, but thanks for mentioning it - will watch it on iPlayer. I love the image of your son "coming to grips" with the jelly - beautiful!